One of my favorite tropes (of so many) of the vaccine denier gang is that vaccines are not effective, thereby implying that the limited usefulness is not worth the risks of vaccines, real or imagined. But the fact is vaccines do save lives in measurable and sometimes fascinating ways. Two peer reviewed papers, recently published, provided clear evidence of some of the ways vaccines directly save lives. The first article analyzed the relationship between flu vaccines and reduction of cardiovascular events; while the second one examined how vaccines might reduce morbidity and mortality from pneumococcal meningitis. Let’s start with the flu vaccine, which has a high safety profile and most people receive for the obvious reasons–flu prevention. However, we are aware of other benefits of the flu shot, including providing somewhat better outcomes during pregnancy. In an article published on 21 August 2013 examined a previously suspected, but not firmly established, benefit of the flu vaccine was examined. This study found that the risk of getting a heart attack was about 50% less amongst patients who were vaccinated against the flu compared to a group that was not. Now, the study does not show that the flu vaccine has some miraculous anti-heart attack component, it might reduce the risk of catching the flu, or possibly reducing the severity of the infection, which reduces the risk of having a heart attack. In fact, the study’s original hypothesis was that catching the flu might actually increase the risk of a cardiovascular event, specifically a heart attack. Furthermore, the researchers observed that the flu vaccine reduced heart attack risk even when the vaccine’s effectiveness was shown to be not very high. This conclusion itself debunks one of the huge myths of the antivaccination crowd (which is essentially that if it’s not 100% effective then we must conclude that it’s 0% effective, an application of the Nirvana logical fallacy); sometimes even when a vaccine isn’t completely effective, it still has some net positive effects. The study examined 559 individuals, all older than 40 years, who had received treatment at a hospital in Sydney, Australia between 2008 and 2010. Of the 559 individuals, 275 had suffered an acute myocardial infarction (AMI). The other 284 were used as a control group who had gone to the hospital but had not had an AMI. A total of 34 patients in the AMI (12.4%) had influenza, confirmed with lab tests. A total of 19 patients (6.7%) in the non-AMI group had influenza. Thus, about twice as many patients who had experienced an AMI had also been sick with the flu. About half of the total group had been immunized against the flu, and none of these patients had contracted the flu. The authors concluded that after adjustment, influenza infection was “no longer a significant predictor of recent AMI.” However, influenza vaccination was significantly protective against AMI (reducing the risk by around 50%) even with a relatively low vaccine effectiveness of 45%. Influenza did not predict AMI, but vaccination was significantly protective but underused. The potential population health impact of influenza vaccination, particularly in the age group 50–64 years, who are at risk for AMI but not targeted for vaccination, should be further explored. Our data should inform vaccination policy and cardiologists should be aware of missed opportunities to vaccinate individuals with ischaemic heart disease against influenza. Meningitis. Of children younger than 5 years old who get pneumococcal meningitis, about 1 out of 10 dies of the infection and others may have long-term problems, such as hearing loss or developmental delay. Pneumonia. About 5 out of 100 people with non-invasive pneumococcal pneumonia will die from it. Bacteremia. A type of invasive pneumococcal disease that infects the blood. About 4 out of 100 children with this blood stream infection die of it. Pneumococcus is a terrifying infection for children. It cannot be prevented by “natural remedies.” It is not a disease that should be ignored. It is highly contagious. And if a child gets it, the risk of death is extremely high, probably higher than nearly any other vaccine preventable disease, while if the child survives, the risk of permanent harm or disability is also incredibly high. The newly published retrospective cohort study examined 68 confirmed cases of pneumococcal meningitis among children who were treated at the Primary Children’s Medical Center, a teaching hospital affiliated with the University of Utah School of Medicine. 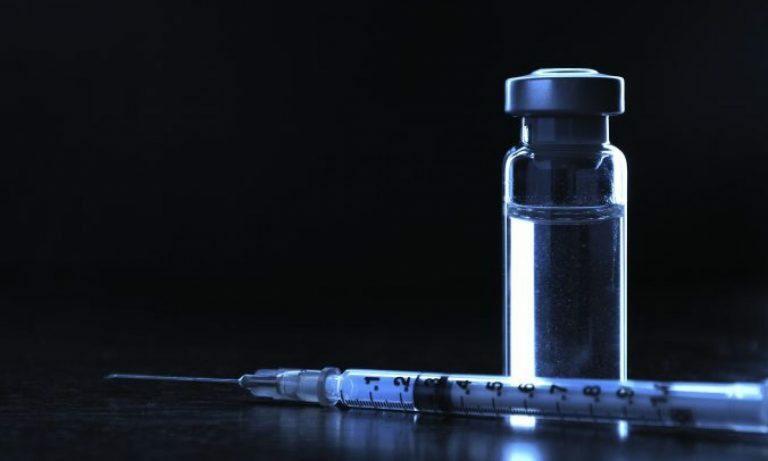 The researchers found that 64% of the cases were caused by PCV7 serotypes (that is, pneumococcal types that might have been prevented through immunization with the PCV7 vaccine) prior to the introduction of the vaccine, while 25% of the cases were PCV7 serotypes that arose after the introduction of the vaccine. 13% of the children died. Mechanical ventilation was required for 68% of children afflicted with the PCV7 serotype. 63% of the children who survived the pneumococcal meningitis, both PCV7 serotypes and non-PCV7, had “neurologic sequelae,” including aphasia, ataxia, hemi- and quadriplegia. Only two of the children with the PCV7 serotypes were completely vaccinated. All the remaining either were ineligible for the vaccine (either too old or two young) or parents had refused to vaccinate them. Furthermore, some of the serotypes in the non-PCV7 group would have been protected by the newer PCV13 vaccine released in 2010, about when this study was concluded. The authors make a simple, but important conclusion. “There was a decrease in the incidence of PCV7 serotype meningitis after licensure of the pneumococcal conjugate vaccine.” And by decreasing the incidence, we save lives. The antivaccination crowd wants you to believe that vaccines don’t do anything. And sometimes it appears to be so as a result of vaccines, which has eliminated our cultural memory of many of these diseases. Most young parents today know nothing of polio, measles, chickenpox or any of these diseases, because they never experienced it because of….wait for it….vaccines. But here are two studies that show immediate, visible results from vaccination. Preventing the flu with vaccinations lower the risk of heart attacks. 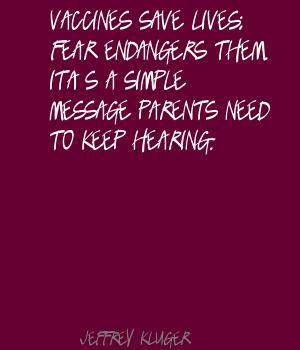 And giving your children the PCV13 vaccines prevents pneumococcal disease, a killer. If you don’t believe me, go to your local hospital and go to the pediatric ICU, and see children on ventilators who may die and even if they don’t die, they will probably have permanent harm, all as a result of pneumococcus infections. Vaccines save lives. All vaccines save lives. *Soon after the conclusion of this study, in 2010, the FDA gave clearance to release the 13-valent version, PCV13 which gives better coverage against pediatric meningitis. There is also a 23-valent version of the vaccine (PPSV23), which is recommended for all adults 65 years and older and for anyone who is 2 years and older at high risk for disease. PPSV23 is also recommended for adults 19 through 64 years of age who smoke cigarettes or who have asthma. Macintyre CR, Heywood AE, Kovoor P, Ridda I, Seale H, Tan T, Gao Z, Katelaris AL, Siu HW, Lo V, Lindley R, Dwyer DE. Ischaemic heart disease, influenza and influenza vaccination: a prospective case control study. Heart. 2013 Aug 21. doi: 10.1136/heartjnl-2013-304320. [Epub ahead of print] PubMed PMID: 23966030.